The key to getting the most out of your experience as an Instacart shopper is learning to work more efficiently. The faster and more accurate you are, the more earnings you can gain using the app. Whether you’re just picking up some part-time work on the side or you shop with Instacart as a full-time gig, use the tips below to become a more efficient Instacart Shopper. Most Instacart Shoppers have gotten orders that required them to lug around a bunch of heavy items like cases of water, firewood, cat litter, and other bulk items. Though this may not be too difficult to maneuver when the items are in the store cart, getting them into your car and delivering them to the customer’s home is another story. Heavy items are not only physically demanding but can really drag down your shopping and delivery times, which gives you less time to pick up other orders. For this reason, look carefully at orders before you accept them. Orders from places like Costco, Sam’s Club, or pet stores like Petco often yield heavy bulk purchases that are difficult to carry and even more challenging to deliver, especially if there are stairs involved. A quick way to see if the order contains bulk buys is to look at the number of items vs. units. If you see 10 items and 120 units, there’s a good chance that you’re picking up cases of water or soda. 2. Get to Know the Stores You Shop In. The most important efficiency tip for Instacart shoppers is to know the stores you shop in. No two stores are exactly the same, even if they belong to the same chain. Getting to know the different sections of the store, such as deli, produce, and bakery, as well as getting to know what’s located on the different aisles, will help you improve your speed and accuracy. During your first few trips to a new location, be aware of your surroundings and make note of any major differences of locations of items. If you have a hard time locating an item in a new store, don’t waste time desperately searching. Instead, utilize the help of store employees to locate it. The more you shop at the same locations, the better you will get to know where items are located. The better you get to know the stores, the more efficiently you can shop. Before you start a shopping trip, look at the list so you know which areas of the store you need to visit and which you can skip. Looking at the list ahead of time also allows you to put together a quick plan of action to ensure your route around the store is as efficient as possible. As mentioned previously, no two stores are the same, even if they are in the same chain. Sometimes sections of the store will be in a different order or items will be located in different aisles. It’s best to shop in the order of the sections as they are laid out in the building. This saves you time from running back and forth across the store. In addition to keeping in mind the order of sections, you’ll also want to prioritize the type of items you pick up first. For instance, you’ll want to save cold and frozen items for last so they remain cold when they get to the customer. Deli orders and other customized items may take longer, so shop for items near this section while you’re waiting for your deli number to be called. One of the best ways to maximize your earnings on Instacart is to pick up multiple orders at one time. However, the more orders you accept, the more complicated the shopping trip can be. For this reason, make sure you have processes in place to keep multiple orders organized in the store and in your car. A popular tip is to use baskets in addition to the shopping cart. This is a great way to keep items separated while you are shopping for multiple orders in the same store. You’ll also want to make sure you look over both orders carefully so you can tackle them at the same time. In addition to keeping your order items separated in the store, knowing the location of different orders in your car makes it much easier to get the delivery to the customer faster and more accurately. It will save you time and confusion in trying to sort it out later. Yet another way you can work to save time during your Instacart shopping trips is by getting help when you need it. At a few grocery stores, the bagger will offer to help take your items to the car. If you are only dealing with a few items, it won’t be worth the trouble. However, if you have a large haul or bulk items, you can save time by getting help loading these into your car. Be careful if you are picking up multiple orders and accepting help to your vehicle. Remember that you want to keep different orders separated in your vehicle. Let the store employee know where you would like items to go as they are helping load your car. These are just a few insider tips you can use to become a more efficient Instacart Shopper. Remember, it’s not just speed that matters, but also accuracy. Make sure you are not sacrificing your attention to detail, as picking up the wrong items for customers can affect your ratings and your tips. The better you get to know where things are located in the store, the faster your shopping times will be. Stella & Dot - How Does It Work And Should I Sign Up? 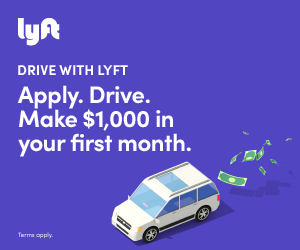 Previous Post: Rideshare Advertising – Is It Worth It For Lyft & Uber Drivers?